When we learned of Jesus as God with us, Saviour and King. The Christmas Journey at St Gabriels - why not join us? 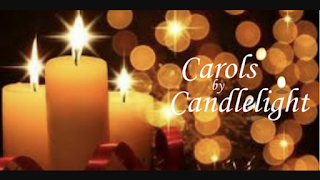 Our Journey through Advent is well on its way with Christingle last week and our Food and Fun this week. Having lit our Hope and Peace candles we look forward to next week’s Joy candle. And then we’ll be at Park Palace Ponies @ 1100am for the Joy of the Nativity. All are welcome to join us for the retelling of the Christmas story with live animals.